With the weather starting to get a little cheerier in the UK, are you starting to plan a road trip over the summer? 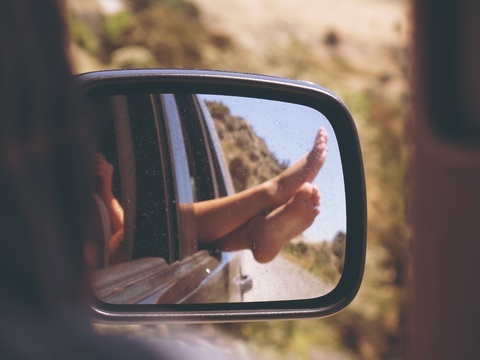 Whether it’s a family outing, a road trip with friends, or you’re going somewhere alone, we’ve create a road trip checklist to help you have the ultimate road trip, whilst still staying covered if something went wrong. Before we start the full road trip checklist, a couple of things you must remember to take with you are your driving license and contact numbers such as your breakdown company. If you’re driving in summer, it’s likely that the sun is going to be very bright and glaring off your windscreen. Sunglasses are essential for your own safety to reduce the glare whilst driving. Also, there’s nothing that can get you in the summer road trip mood quite like putting some shades on! A road trip checklist would not be complete without a section for snacks and drinks! We recommend having lots of water in your car; it’ll be handy for yourself in the heat, but can also be helpful if you breakdown. Snacks are also a great addition to a road trip, especially if it’s a longer one! A road trip without music is a road trip we don’t want to be a part of! Summer road trips are made with great music. Create a playlist of all your favourite songs so that you can sing to your heart’s content. If you prefer a CD, there’s lots around that are made for road trips! Make sure that you have a mobile phone charger that is able to plug into your car. If not, purchase a portable charger. A fully charged phone will come in handy if you happen to breakdown, plus you need the charge to listen to your playlist! In addition to the above road trip checklist, it’s important to check that your car is safe to drive on your trip. Before a long trip, take your car in to get a service! For more information, get in touch with German Specialists Ltd on 0161 476 4422, or fill out our online contact form.